Natural Rubber or Pure Gum Rubber has a smooth finish and is also known as polyisoprene. Natural rubber is vulcanized from the latex of the Hevea brasiliensis tree, or otherwise known as the “rubber tree”. Pure Gum is a good choice for an installation requiring high tensile and elongation characteristics along with superior abrasion resistance. 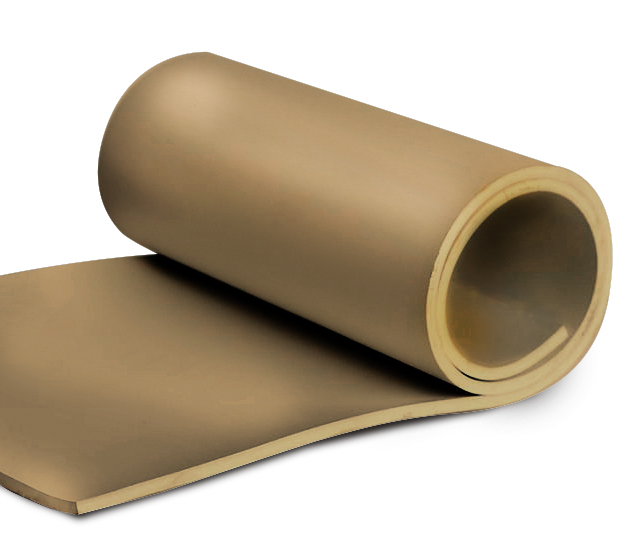 Developed in the 1930’s, gum rubber has been the polymer of choice for applications requiring a soft rubber seal. It conforms to irregular flanges or surfaces with bolt heads. Pure Gum Rubber resists most organic salts, acids, alkalis, and ammonia. Thermodyn Global Sealing’s Pure Gum Rubber is also non-marking.